Paul Pogba did not join his Manchester United team-mates on a plane to Dubai on Saturday because he is still receiving treatment for an injury. The Frenchman picked up a knock in the 2-0 win over Newcastle on Wednesday and was missing from United’s 2-0 FA Cup win over Reading. Following the victory at Old Trafford, Ole Gunnar Solskjaer’s side went straight to the airport where they jetted out to the United Arab Emirates. United will now spend a week recharging their batteries in Dubai and continue training in a much warmer climate. 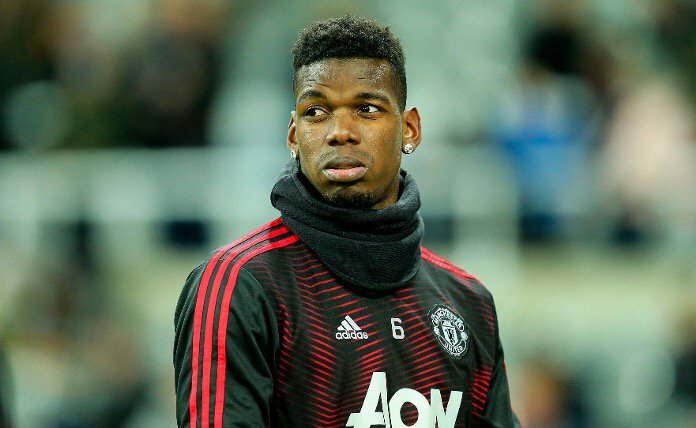 Pogba was a notable absentee from the squad that travelled from Manchester Airport and the club have now explained why. United have won all five game since Solskjaer took charge last month, but Spurs will prove the Norwegian’s biggest challenge. “Spurs away at Wembley – that’s a proper test,” he said. “We are looking forward to that one because that’ll give me more of a reference on where we are against the top boys.